I have mentioned this week how we are refreshing all the rooms in the house. I am so enjoying planning little things to do in each room. That includes the girls room. Both girls would love new beds and bedding. We need to get the girls a summer duvet each and would love to get them each new bedding too. I would love to also get them a rug each as they both have wooden floors. Elle has asked for a bigger girl room and has asked for a tree in her room! Not just a tree in a plant pot, a hige tree that goes through her floor boards and take over the whole room. We have had to say no to that one but i am looking forward to adding little bits in including her desk area for homework and crafts. I have been sitting down with both girls and going through some ideas for them and Mia is adamant that she wants a pink bed. I don't really think she minds at the moment about much else in her room, as long as her toys are all there and her train track, she is happy! 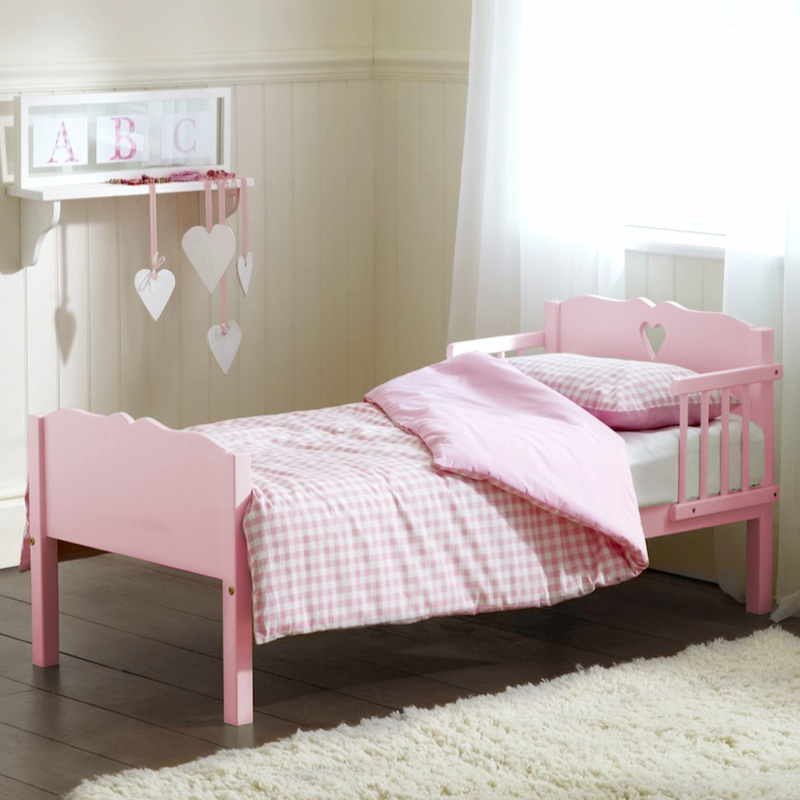 We have been researching alot on the internet at toddler beds and found Online4baby who have some amazing beds and bedding sets for amazing prices! They have just opened up a new showroom as well as their online shop which stocks all the leading brands such as baby jogger, chicco, clair de lune, cosatto and red kite. I love going to showrooms and being able to look at the furniture to get a sense of the size and quality before purchasing. I am really looking forward to sprucing up both of their rooms and especially looking forward to creating the crafting/learning corner in Elle's room for her. She already has so many ideas on what she wants to do so it is going to be a lot of fun putting it all together for her. That bed is gorgeous! I wish Miss C had a bigger room as I think you can do so much to a child's room to make it somewhere amazing of their very own.